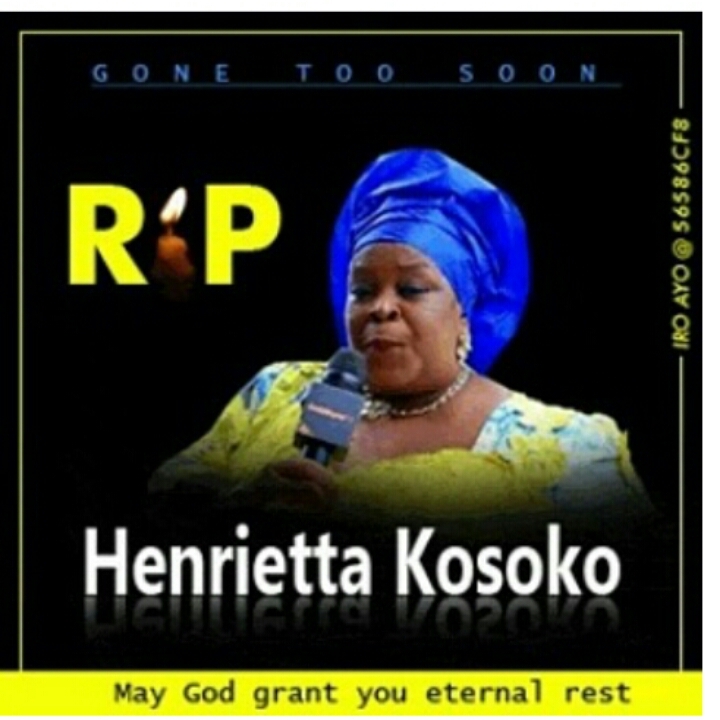 The Talk With Vanessa: Henriette Kosoko is died!! 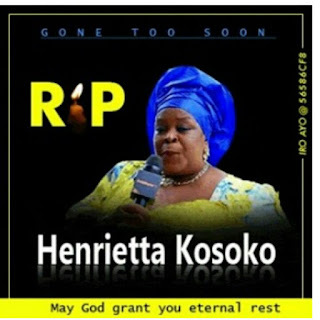 Mrs Henriette Kosoko, the wife of Nollywood actor Jide Kosoko is died. According to Vanguard, Henrietta, who was also an actress, reportedly died yesterday morning after she slumped at their home and was rushed to the hospital where she was confirmed dead. Sources close to her family said that before her demise, she battled diabetes for a while, causing her sugar level to flunctuate. She was aged 53. May her soul rest in peace.